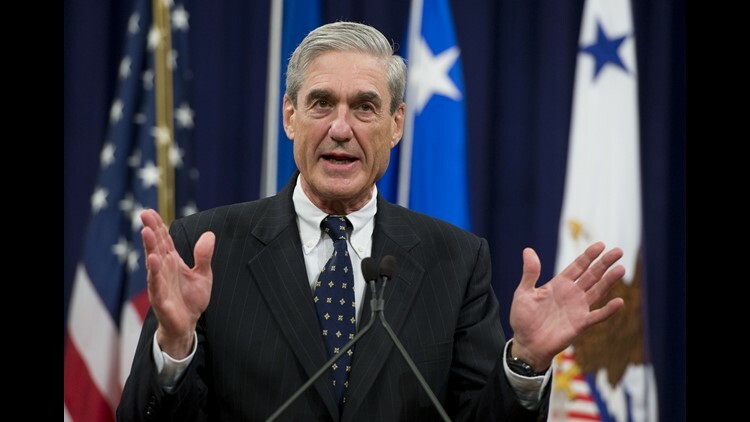 WASHINGTON – The window into Justice Department special counsel Robert Mueller’s closely held investigation into Russian interference could become clearer Friday during a simple convergence of the federal court calendar. In Washington, prosecutors are due to file papers explaining last week’s collapse of a cooperation agreement with Paul Manafort, President Donald Trump's former campaign chairman. The filing is likely to outline what Mueller’s team characterized as Manafort's repeated lies and additional “crimes,” leading to a breach of his plea agreement reached in September. His sentencing is set for March 5. In New York, Mueller’s team is scheduled to file a sentencing memorandum for its newest cooperating witness – former Trump lawyer and fixer Michael Cohen – before his sentencing Wednesday on two convictions. Cohen pleaded guilty to a series of campaign finance law offenses as part of a plea agreement in August with federal prosecutors in New York. He reached a separate deal with Mueller's team last week in which he pleaded guilty to lying to Congress about plans for a Trump Tower project in Moscow. The sentencing documents will probably reveal the scope of Cohen’s cooperation in both cases, which has included allegations about Trump’s hush money payments to two women alleging extramarital affairs with him and the president’s efforts to conceal plans for a Moscow tower project even as Trump denied any Russian business interests during the 2016 campaign. "Given his proximity and centrality to Trump's operation before and after the election, it would be difficult to find any better cooperating witness than Michael Cohen," former Miami federal prosecutor Kendall Coffey said. "If (prosecutors) are looking for information about Trump's business dealings and how they may tie in to Russia, Cohen is likely to know that, and all of us may get an idea of where Mueller is headed in these new filings. "In Manafort's case," Coffey said, "we are likely to learn of what may have pushed him to commit legal suicide." Manafort agreed to cooperate with Mueller's team in September as part of a plea agreement to avoid a second trial on financial fraud charges in the District of Columbia. In August, a Virginia federal court jury convicted Manafort on eight counts of related financial fraud charges in the first contested prosecution brought by Mueller's team. The filings are scheduled days after Mueller cited the "substantial" cooperation provided by former Trump national security adviser Michael Flynn. Investigators recommended that he serve no prison time after pleading guilty last year to lying to the FBI in part about his pre-inaugural contacts with Russian Ambassador Sergey Kislyak. Though the 13-page Flynn filing was heavily redacted, Mueller acknowledged that Flynn met with prosecutors 19 times in the past year and cooperated in the Russia inquiry and two other investigations. The subjects of those additional investigations, one of them a criminal inquiry, were not disclosed. The shadow of Mueller's investigation is likely to reach beyond the courtroom as former FBI Director James Comey is set to deliver closed-door testimony Friday to House members of the Judiciary and Oversight Committees. Republican committee leaders pushed for the politically charged meeting to question whether Comey was biased in favor of Democratic nominee Hillary Clinton in his management of the Clinton email investigation and the early stages of the Russia inquiry. Trump fired Comey in May 2017 because of his oversight of the Russia inquiry, a move that spurred the appointment of Mueller. Manafort, 69, a former lobbyist and political operative, reached a plea agreement in September in U.S. District Court in the District of Columbia. He admitted leading a long-running conspiracy involving his work on behalf of a pro-Russian faction in Ukraine led by the country's former president Viktor Yanukovych. He pleaded guilty to obstructing Mueller's investigation. Manafort was convicted in August in federal court in Virginia for bank and tax charges related to the work in Ukraine. He faces sentencing Feb. 8 on those eight counts. The combined punishments could become a life sentence. Manafort was not convicted in either Virginia or D.C. of participating in election interference. But his oversight of the Trump campaign and his participation in key meetings made him a potentially valuable witness to Mueller's team. Cohen pleaded guilty Nov. 29 to lying to Congress about the extent of plans for the real estate deal in Moscow, which continued into June 2016 – well into the presidential campaign and longer than Trump acknowledged. Cohen has cooperated with Mueller since pleading guilty in August to making six-figure hush payments to women alleging they had extramarital affairs with Trump. The prosecution filings will probably describe Cohen's cooperation since August on those and perhaps other issues. Before Democrats take control of the House of Representatives next month, Republicans want to question Comey about his decision not to prosecute Clinton for her use of a private email server when she was secretary of state. They also want to ask about Comey's role in the investigation into Russian meddling in the 2016 election. Lawmakers interviewed senior Justice Department and FBI officials privately for months. Comey has testified that he didn’t coordinate with the Democratic administration at the Justice Department or White House. Some Republicans questioned whether investigators were biased. Trump suggested Comey wanted a job in a potential Clinton administration. Comey initially refused to answer questions in private because he was concerned lawmakers would leak partial statements. He reached an agreement for a transcript to be released within 24 hours. George Papadopoulos, a former foreign policy aide on Trump's campaign, finishes his 14-day sentence Friday for lying to the FBI about his Russian contacts. Papadopoulos arrived Nov. 26 at a minimum-security camp in Oxford, Wisconsin, the Bureau of Prisons confirmed to USA TODAY. This sentence was shortened by time served when he was arrested. He was fined $9,500 and ordered to complete 200 hours of community service. Papadopoulos "lied to the FBI regarding his interactions with a foreign professor whom he understood to have significant ties to the Russian government, as well as a female Russian national," according to Mueller's team. Papadopoulos identified that professor as Joseph Mifsud, who introduced him to the Russian woman he knew as Olga. Mifsud told Papadopoulos that Olga was related to Russian President Vladimir Putin, and Papadopoulos identified her as "Putin's niece" in a campaign email. When asked about his contacts with Mifsud and Olga, Papadopoulos falsely told the FBI agents that his meetings with them happened before he joined the Trump campaign. Paul Manafort makes his way through television cameras as he walks from Federal District Court in Washington, on Oct. 30, 2017. Manafort, President Donald Trump's former campaign chairman, and Manafort's business associate Rick Gates have pleaded not guilty to felony charges of conspiracy against the United States and other counts. Paul Manafort leaves U.S. District Court after pleading not guilty following his indictment on federal charges on Oct. 30, 2017 in Washington. Former Trump campaign chairman Paul Manafort leaves federal court, Oct. 30, 2017 in Washington. Former Trump campaign chairman Paul Manafort, left, leaves his home in Alexandria, Va., on Oct. 30, 2017. A federal grand jury has charged Manafort and his business and campaign associate Rick Gates with 12 counts — including conspiracy, money laundering, failing to register as foreign agents, and making false statements. Manafort takes in game four of the Major League Baseball American League Championship Series playoffs between the New York Yankees and the Houston Astros at Yankee Stadium in New York on Oct. 17, 2017. Manafort stands between Donald Trump and Ivanka Trump during a walkthrough at the Republican National Convention in Cleveland on July 21, 2016. Manafort talks to reporters on the floor of the Republican National Convention at Quicken Loans Arena in Cleveland as Rick Gates listens at back left on July 17, 2016. Manafort is interviewed on the floor of the Republican National Convention at the Quicken Loans Arena on July 17, 2016, in Cleveland. Manafort speaks on the phone while touring the floor of the Republican National Convention at the Quicken Loans Arena as final preparations continued on July 17, 2016, in Cleveland. Manafort checks the podium before Trump's event at Trump SoHo Hotel on June 22, 2016, in New York City. Manafort leaves the Four Seasons Hotel after a meeting with Trump and Republican donors on June 9, 2016, in New York City. Manafort checks the teleprompters before Trump's speech at the Mayflower Hotel on April 27, 2016, in Washington. Manafort speaks with Ben Carson as they arrive for a Trump for President reception with guests during the Republican National Committee spring meeting at the Diplomat Resort on April 21, 2016, in Hollywood, Fla.
Manafort appears on "Meet the Press" in Washington on April 10, 2016.